Hi everyone!! How was your weekend? Mine was pretty good. Me and my husband did some shopping for the summer holidays. We bought ourselves new swimwear, flip flops and some other summer clothing. And we went shopping on our own, without the kids, because with the kids we don’t get much shopping done :D. They were having fun at home with my parents. 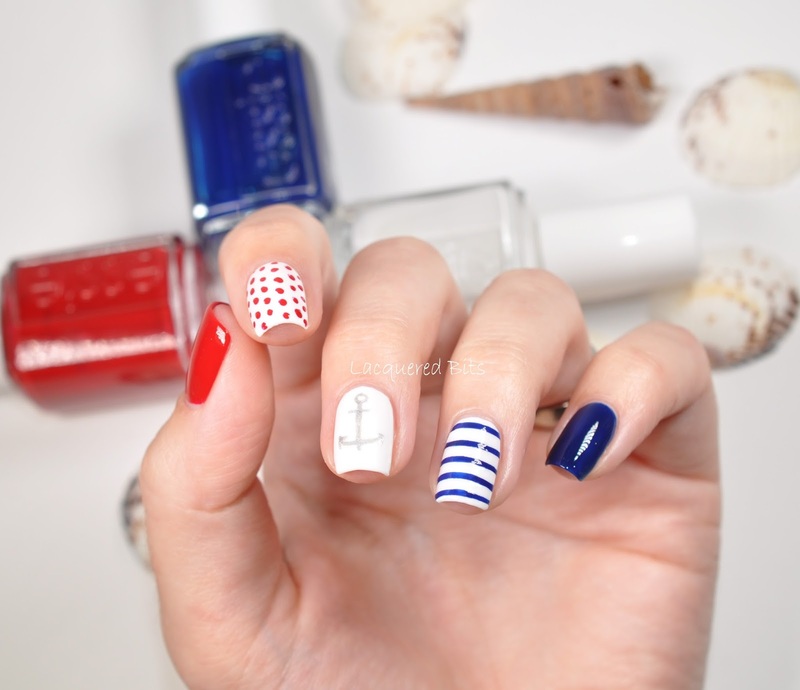 And to show you that now I really am getting in to whole ocean/beach spirit I did this mani. Oh, first I am going to show you the polishes I used :D. They were all from Essie. And here is my mani. 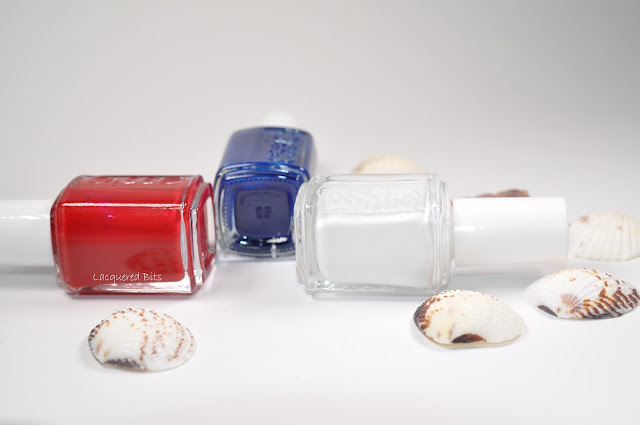 The white base is Essie – Private Weekend. I just love how radiant this one is. You can see in all of my photos that I had problems capturing the anchor, because the white is so radiating. But I love it for that. Perfect white for the summer! Again, look at the anchor, so hard to capture it. 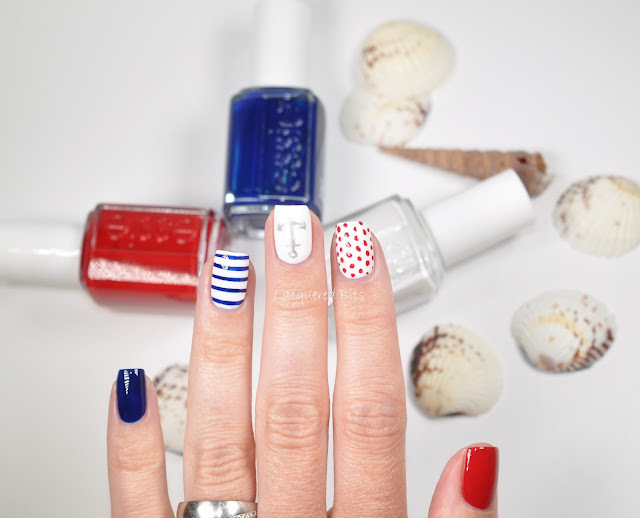 The blue polish I used was Essie – Style Cartel. And the red one was again Essie – Forever Yummy. My favourite red and I just can’t get enough of it. Finally I managed to take the proper photo of the anchor. But I had to tilt my fingers just in the right position. 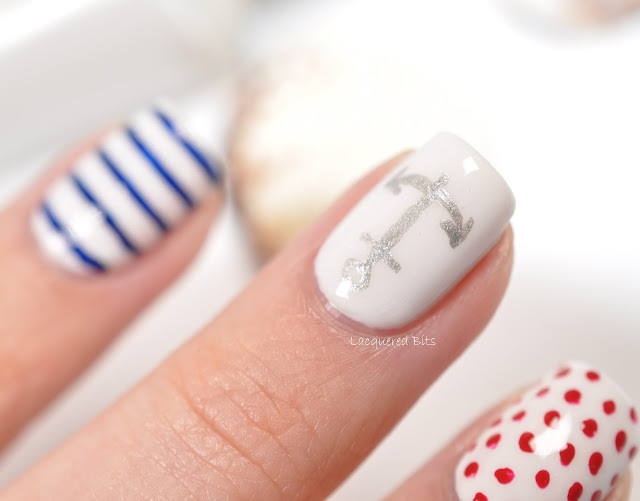 I painted the anchor freehand with silver acrylic paint. The stripes were made with stripping tape and the dots were made with the dotting tool. What do you guys think? It can’t get any more summery than that! Have a great day and enjoy yourselves!! 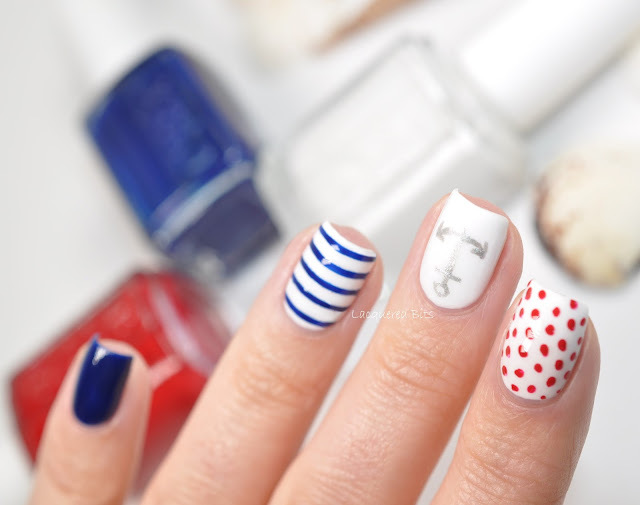 I really like this mani! Perfect for if you were going to be on a boat!